Black Friday 2018 is officially started, today all of famous brands are offering discounts and coupons for their circular saw. 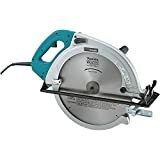 We have noticed a lot of great deals from Dewalt, Bosch, Makita, Skil, Rockwell, Hitachi, Ryobi, Worx..
Let’s discover the best deals of circular saw on Black Friday/ Cyber Monday 2018. Among all of circular deals today, we have spotted 3 models with great discounts up to nearly 50% off the price. 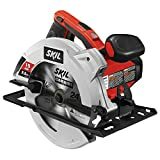 SKIL 5280-01 15-Amp 7-1/4-Inch Circular Saw – This is one of the most popular choice if you are looking for a low price model to handle DIY woodworking projects. This model has several great features that others does not have such as lighter weight to reduce fatigue, accurate laser beam to guide the cuts. SKIL 5280-01 is an incredible circular saw for the price under 50 bucks. Currently, it is available with 34% off and an extra coupon to save more. 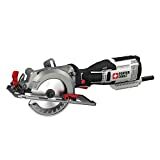 PORTER-CABLE PCE381K 5.5 Amp 4-1/2″ Compact Circular Saw – This model is a great little rip saw, it is very lightweight and compact so that you can use for long time with ease, especially when dealing with over head cutting job. It is capable of 1-11/16″ depth of cut, cuts 2x material in single pass. This unit is available with 48% discount but the stock number is very low. Makita 5402NA 16-5/16-Inch Circular Saw – This circular saw is the most powerful unit from Makita, which is designed for handling large cuttings. It is capable of cutting 6x materials at 90 degrees and 4x materials at 45 degrees with a single pass. A professional circular saw for timber and pressure treated lumber cutting at low noise. This model is currently 12% off. You can find the most recent deals and discounts of popular circular saw from major brands. While we have tried to update the discount percents most accurate, they can be changed subjectively by the manufacturers without noticing. Please check the price before placing order. A worm drive circular saw is the best option for dealing with hard materials and heavy-duty jobs. Worm drive circular saw features a motor in line with the blade to give stronger torque. Another circular saw design called sidewinder (or inline, traditional circular saw), is the best fit for users who need more maneuverability. A sidewinder circular saw features a motor that stays alongside with the blade so that it is lighter in weight and you can use for a longer time with less fatigue. Cordless circular saw gives you the portability to work outside but it does not have strong torque as a corded model. Therefore, the cordless circular saw is suitable for woodworking projects mostly while cutting tougher, harder materials require a corded model. Cutting capacity of a circular saw is decided by the blade diameter, which is often 7 -1/4 in. A saw with blade diameter larger than 6 in can cut through 2 x 2 in lumber at 45 degrees with one cut. A saw with blade diameter smaller than that requires 2 passes to cut through 2 x 2 in lumber at 45 degrees.